Mobile Marketing: Right For Your Business? I don’t own a smartphone. By all accounts, being the nerd that I am, I should own a smartphone. Instead, I use a basic Qwerty cell phone (on the left there) on a pay-as-you-go plan, partially against my will. My husband bought me the phone so that he could reach me when the phone is actually charged…and with me…and I check it. I have to admit that I do enjoy the texting capability, and the ability to call for directions when I get lost. And I also have to admit that I sometimes envy my friends their smartphones with their mobile web surfing and whatnot. I say “friends” because those who own and regularly use smartphones outnumber those who don’t, and being on the back end of helping small business owners grow their businesses, it has come to my attention that mobile marketing is a big deal…and it’s only going to get bigger. Mobile marketing is simply a way to reach potential and current customers through a commonly used outlet: the cell phone (more specifically, the smartphone). If you’ve ever seen print ads with these handy QR codes, then you’ve witnessed mobile marketing. 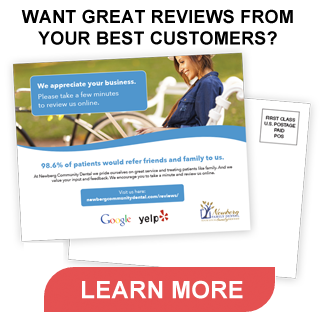 They are used to connect cell phone users with websites, which can contain special offers, coupons, or the chance for your customers to leave reviews about your business. In other words, people use their phones. A lot. Including when it comes to shopping, buying, researching, and going about the business of every day life. There are a couple of problems when it comes to mobile marketing as a small business. The first is that your website (if you have one; if you don’t have a website, you need to call us immediately) is not necessarily mobile friendly. The smartphone demands its own navigation when it comes to websites, and your website has not been adjusted to fit the demand. The second problem is that if you’re new to the concept of using mobile marketing for your small business, then you’re probably thinking that it’s not all unicorns and rainbows. Your anxiety level might be elevated, anticipating all of the new technology gunk you’re going to have to learn to take advantage of this outlet. Our latest developments include solutions for your mobile marketing needs. Our new Verticalwerks Mobile Marketing program has a couple of affordable options to fit the needs of your small business. We format your website to go mobile with important functions like Click to Call and maps with directions, not to mention the social networking capabilities available through this service. Then you can sit back and relax, rainbows and unicorns safely in their places!